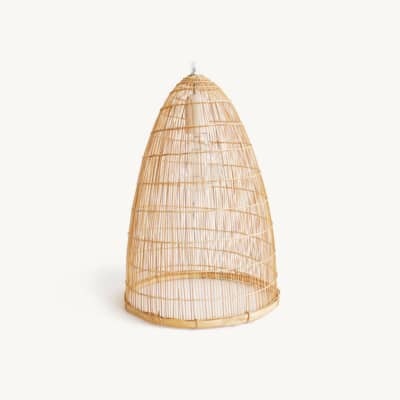 Our new creation…The Cone Bamboo Pendant Lamp! Often used as a fish trap in the south we decided to hang it from the ceiling. Fill your space or any corner with our Cone Lamp, it gives a warm feeling all seasons! Clean, minimalist,elegant and more sustainable. La Variété in Barcelona, Spain.